Today, traditional outbound marketing has fallen by the wayside – and for good reason. Who really likes a quiet evening at home being interrupted by cold calls from pushy sales people? And what about all those TV commercials in the middle of our favourite shows, or marketing emails that we never signed up for invading our inbox? No. Many consumers have simply had enough of businesses forcing such marketing messages upon them – especially in such invasive and unsolicited terms. Nonetheless, people are still ready to buy just as much as they have always been – it’s just that they prefer to do so on their own terms, and educate themselves on the merits of a product or service, rather than “trusting” self-interested parties to do it for them. 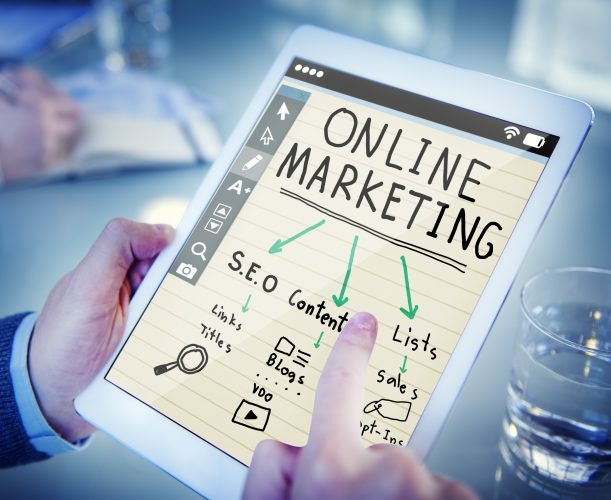 And this, combined with the unstoppable rise of the internet, has given way to a new marketing tactic that an increasing amount of companies are turning to – inbound marketing. In many ways, the exact opposite of outbound marketing. Rather than forcing information onto prospects when it suits you (outbound marketing), inbound marketing seeks to provide information to prospects when it suits them. 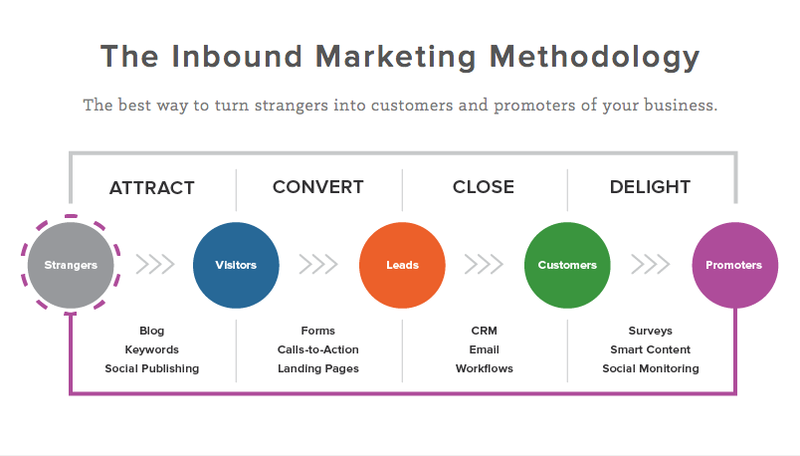 There are essentially four stages to the inbound marketing methodology. It all seems very simple, but, in order to execute an inbound marketing plan effectively, an intelligent and thorough strategy must be in place to guide as many people all the way along this sales journey as possible. Here are the top 5 tactics you need to start enjoying inbound marketing success. At its core, inbound marketing is all about education. This education comes in a number of forms. First, you need to be educating strangers about your business’s existence. Second, about what you do. And third, about the value you offer. Creating content that covers all these bases begins with your website. A good website should be intuitively designed – from its home page through to the contact form – to provide all the information that a prospect could need to educate themselves about what you do, why you do it, how you do it, how much your product or service costs, and how to get in touch. These are the fundamentals. But, what is of equal importance is that your website’s static content is search engine optimised. SEO is a huge concept, and far beyond the scope of this post – however, essentially, SEO is the practice of making your website discoverable to search engines. While there are many factors that go into this (and I recommend Moz’s ‘The Beginners Guide to SEO’ for a thorough rundown on the most important elements of SEO), what is of vital importance is keywords. Keywords and keyword phrases are what people who are searching for a company like yours are typing into Google when they realise they have some sort of problem, and decide that they are ready to pay to have it solved. If you were an inbound marketing company, then your website content needs to contain such keywords as ‘inbound marketing’, ‘inbound marketing services’, ‘content marketing’, ‘email marketing’, etc. If you sold strawberry jam, then it would be ‘strawberry jam’, ‘strawberries’, ‘strawberry preserves’, etc. Having a good keyword density means that those Google bots will be able to find your website and match it to searches, and subsequently return a link to your site in search results. Searches will then be able to go into your site and find out if you really are the strawberry jam company they are looking for. The next tactic comes in the form of content marketing. True, your website’s search engine optimised static content falls under the umbrella of “content marketing”, but I separate it for the purposes of clarity. You will infer that from a keyword perspective alone, having lots of pages on your website that make reference to your most vital keywords and keyword phrases will be beneficial – for it will increase the chances of those Google bots finding your site before your competitors’ (and other search engines are available, by the way). And this is where content marketing comes in. Content marketing begins with a blog. Your blog will again be designed for education – but rather than using it for the purposes of educating readers about the specific benefits and intricacies of your business solution, it will instead offer readers additional value, and, when used wisely, will position your brand as an industry authority and thought leader. Let’s take the strawberry jam company again. Here, a good blog strategy would be to create articles that give readers plenty of tips and tricks on how to use their strawberry jam – so recipes a-plenty, all of which containing ample occurrences of the number one keyword ‘strawberry jam’. However, other articles that may interest this business’s core audience might be along the lines of ‘How to grow your own strawberries’ and ‘5 interesting things to do with your empty jam jars’, as well as perhaps more broad topics such as ‘How to attract bees to your garden’ and ‘A potted history of the Women’s Institute’. Indeed, it’s important that inbound marketers know their audience, build their brands accordingly, and create content that combines the two. The overall purpose is to attract the right people to your website through the strategic creation and deployment of relevant content, and from there ensure your website is designed as such so that it converts as many of these visitors into customers as possible. And of course, content marketing is more than just blogs. Videos, infographics, guides, case studies, webinars, podcasts – all of this should form the basis of a content strategy designed to marry with the core values of your brand and attract the right people to engage with it. For a full rundown on good content marketing, see our previous post ‘6 Phases of an Effective B2B Content Marketing Strategy’. The next tactic to employ is social media marketing. Writing great content is one thing, and relying on SEO to get it discovered is another – but, in order to amplify your presence and what you are doing, you need to take the steps to put your business and your content in front of customers. This, again, is why it’s so important to pen those added-value blogs that go beyond what you do as a business. These are the articles that have value in themselves and invite social media users to share the information amongst others in their network. For indeed, creating sharable content in the first place is what is going to achieve brand lift and attract more traffic to your website – traffic which can then be converted into leads, and then into paying customers. Importantly, you must identify which of the most popular social networks are likely to be most beneficial to your business. Our strawberry jam company, being in the realms of B2C, would most likely find the greatest success on Pinterest and Facebook. Our inbound marketing agency on the other hand, a B2B company, would be better off focussing on LinkedIn and Twitter. The next stage is to capture lead information. And again, we will use content to do so. A lead is someone who has in some way indicated that they are interested in what we have to sell. So, what we need to do is create means by which they can provide this indication. One of the best ways to do this is to offer a range of gated content on our websites that require visitors to fill out a form in order to access it. When someone fills out a form and downloads a piece of gated content, they are no longer a mere visitor to your site, but a qualified lead. They have given a strong signal of intent to buy – but they may still need some additional encouragement. With their email address, you can now specifically target your leads by name and send them yet more educative content that further elucidates the value of doing business with you. They downloaded your beginner’s guide, so perhaps they might be interested in a case study that exemplifies just how much another company has already benefitted from your services. This form of direct targeting is what will ultimately coax your leads over the sales line – but it doesn’t stop there. You will recall from above that closing deals is not the final part of the inbound marketing methodology – now we must convert these customers into returning loyal customers, and, wherever possible, create evangelists out of them. Other options, of course, include emailing specific pieces of content to your customers, showing them that you’re still working hard to add value to your service by providing free research and education that will help them continue to grow their business. Special discount codes, invites to exclusive events and other offers can also be directly targeted in this way. By keeping the information flowing – and by ensuring that it is all useful and highly targeted to each individual – you will prove to your customers that your service is worth sticking with and talking about, and, with any luck, that’s exactly what they’ll do. Need help designing and executing an inbound marketing strategy? From the design and content of your website through to content marketing in all its guises, Cope Sales and Marketing can execute a wide range of tactics that will help grow your audience and customer base. Please take a browse around our site – www.cope-salesandmarketing.com – and use our Contact Page to reach out. Looking forward to hearing from you!